Chinese Traditional Medicine believes the “Qi” (Chi, energy) is the center of medicine and Qi-flow creates balanced health, all diseases, pains, and discomforts are the symptoms of the Qi stagnations in some areas of the body and mind. Many times, the illness could begin long before your notice of their apparance. These uncomfortable signs indicates the problem of imbalanced body systems, and their roots of the problems are even more complicated than the symptom complex. When the body has problelm, all our focus should be on finding the root of the problems, making the change, heal, and reverse. Increasing the positive yet balanced energy in the body is one of the most important keys to deal with the recovery from any illness, emotional trauma, simply because both eastern or western medicine and treatments only work when your internal systems have a positive response to the treatment. Why don’t we start to make steadily progress from where you are, and working with your balance of Qi? Traditional Chinese Medicine (TCM) rooted in China. The deep knowledge traditionally has been passed down through generations of the experienced doctors. TCM intellectual study is to read the old medicine books, in which include ancient Chinese philosophy, medical theory, practical applications comprehensively, these books were written only in classical Chinese language! ♦ A simple yet effective Qi Gong routine JUST FOR YOU will be taught to you, so you can practice at home to maintain your energy level and reduce mental and physical stresses. Chinese natural herbs will be slightly and safely used if necessary. There are some major symptoms, pains, and signs associated with unbalanced energies. 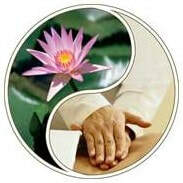 The Qi Gong treatment can help on these common problems: Low energy - fatigue, Anxiety, Depression, Nervosity, Cold hands or feet, Insomnia or poor sleep, Headache, Back pain, Dry skin, Migraines, Weight gain, Women's issues, Prostate health, best way to relieve the symptoms of Arthritis, and Spinal problems. Price: $155 for one session (1 Hour). Price: $250 for clinic at your home. Paymentt: Credit Card, Cash, Check. If you notice us the cancellation less than 48 hours prior to your scheduled appointment, a $50 fee will be charged. (No fee will be charged if you reschedule the appointment within 48 hours). 4. The same day appointment is available, please call to make an appointment. 1 hour clinic at your comfortable home. By Appointment. Manhattan ONLY.